According to the latest reports from Forrester Research, in the United States, Korean based Samsung Electronics rules the U.S. Smartphone market with a whopping share of 24%, followed at some distance by Apple with 18% and, quite surprisingly, LG Electronics tied with Apple also with 18%. 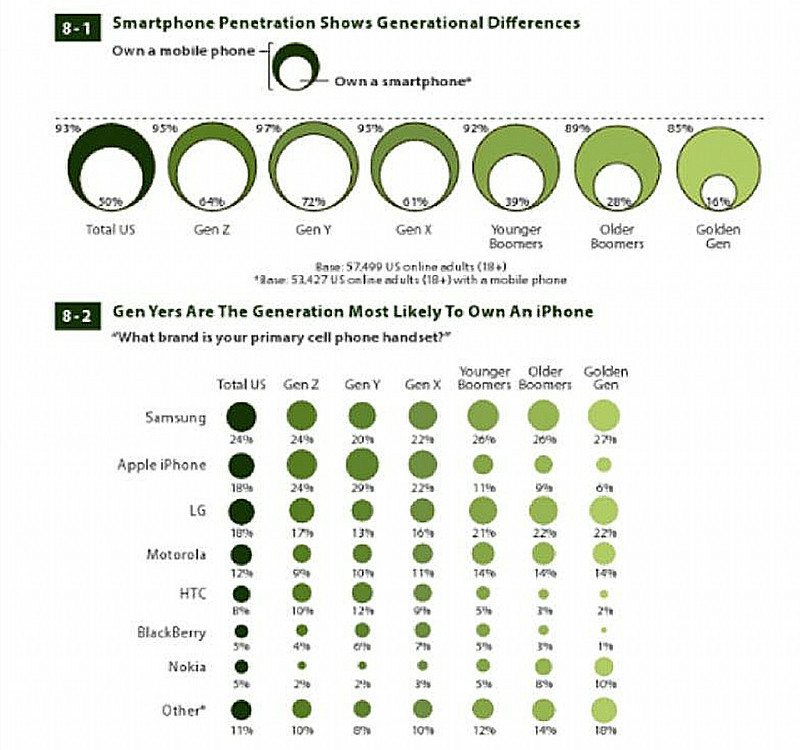 The report also shows that while Apple attracts younger people, older buyers choose mostly Samsung and LG. This reinforces the belief that Apple wins the impulse or trendy buying segment while other brands convince those favourable to a reflective (or bang for the buck) purchase. What do you think? Are Apple sales more on the fashion side? Or does it provide real differentiation? Please have your say in the comments section below.